!!!! 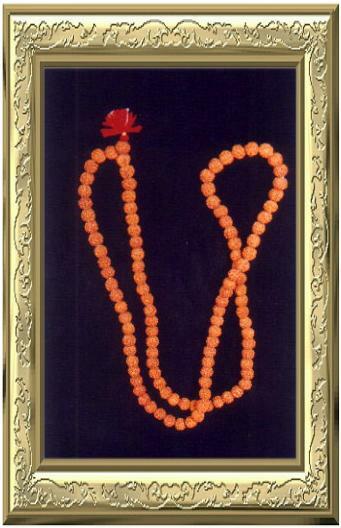 In the Year 2002 Astro Journey answered 2,40,000 mails on the Rudraksha Beads Only !!!! Rudraksha popularly known as the Utrasum Bead Tree is botanically known as Elaiocarpus / Elaeocarpus Ganitrus Roxb. It's medicinal and divine properties have been known from times immemorial. It is said that only one who has the divine blessings of Lord Shiva (The destroyer in the Trinity of Gods) gets the opportunity of wearing this divine bead. Rudra means Shiva and Aksh means eye. According to the religious text Devi Bhagwat Puran there was a Demon known as Tripurasur who was very strong and had divine energy and power. Due to these qualities he became proud and started to trouble deities and sages. No one was able to defeat this strong demon in war. On seeing his immoral actions Brahma, Vishnu and Other deities prayed to the Devadhidev Mahadeva Shiva (The greatest, lord of Lords Shiva) to destroy evil Tripurasur. Lord Shiva closed his eyes and meditated for some time. When he opened his lotus shaped eyes tears fell from them on the earth. Wherever his tears fell the Rudraksha tree Grew. The fruits that grow on this tree are known as Rudraksha Beads. Lord Shiva then used his deadly divine weapon known as Aghor and destroyed Tripurasur. According to another religious text Shiva Mahapuran, Parvati the divine consort of Lord Shiva asked him the origin of Rudraksha. On hearing her question Shiva said that he did penance for a thousand years. Tired of keeping his eyes closed for so long, Shiva opened them. A few teardrops fell to the ground and from these tears, the Rudraksha tree was born. The seeds of the tree were distributed on the earth. !!!! Five Faceted Rudraksha Beads are abundantly available. Buy Beads from a trusted source. Ensure that your Rudraksha Bead is not color treated with chemicals !!! Individuals of all castes, ashramas, varnas should wear the Rudraksha bead. Brahmins should wear it after consecrating the bead with the appropriate mantra. The individual who wears the Rudraksha with devotion is like Rudra (Shiva) himself. No pleasure is greater in the world then wearing a Rudraksh. One who wears the Rudraksh bead is a divine being and all his sins get destroyed. !!!! The Six Faceted Rudraksha Bead blesses one with a charming persona. It makes the person capable of Vashikaran/Enchantment !!! !